After top tech giants like Apple and its rivals have been facing issues with their battery technologies lately, a Belgium based app developer, named Dries Depoorter, has come with this refreshing idea of a messaging app – Die with me, which lets users chat at 5 per cent of their battery left. 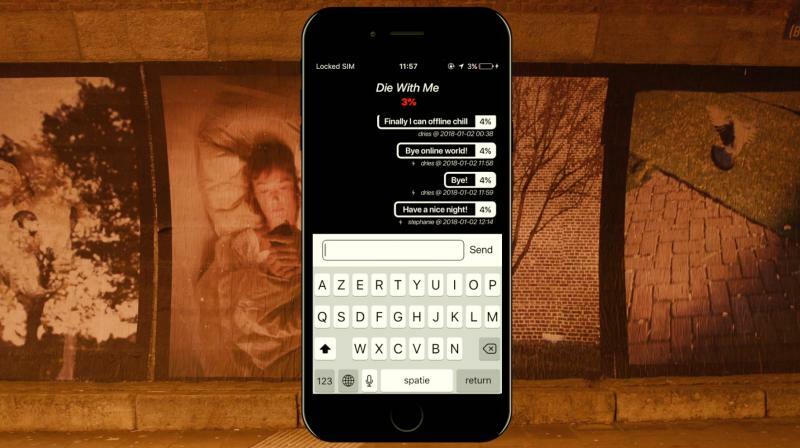 Developer Depoorter came up with this unique idea of “Die With Me” at the International Documentary Film Festival Amsterdam’s annual DocLab Interactive Conference. In November 2017, along with his partner, David Surprenant, launched the first beta version in a small test through an IDFA DocLab live event, using the festival audience. 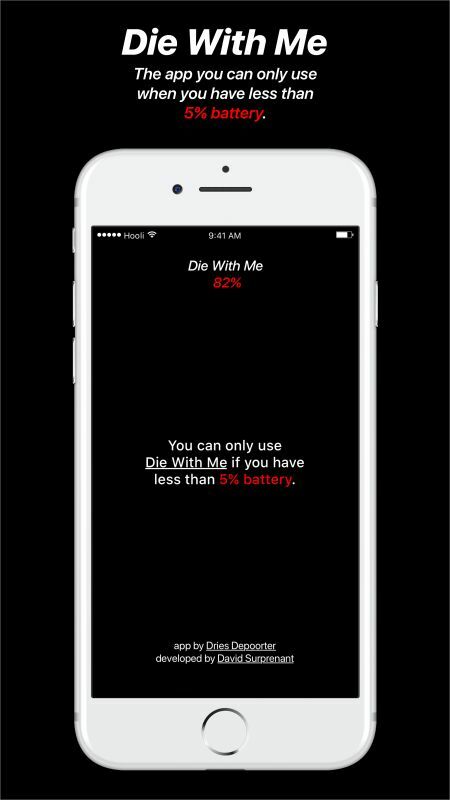 Die With Me is a chat app you can only use when you have less than 5 per cent battery. Basically, it's a chat room which you enter only when your phone's battery is 5 per cent or less. If you have less than 5 per cent battery you just have to enter a nickname and you can say goodbye to other people having also less than 5 per cent battery. If nobody is in the chatroom you can still scroll back to the older messages to get inspired to leave a trace for the future. This unique app has undergone a difficulty in approval from the App Store, as Apple was rejecting every update of this app due to the battery issue debacle of the company. Eventually, this app got the approval and is now available for download for both Apple and Android users.